HSBC Holdings is shutting accounts associated with the powerful Gupta family as it assesses its exposure to the scandal gripping South Africa. The bank is conducting a wide-ranging review of any possible involvement in suspicious transactions, with the assistance of external investigators, people with knowledge of the matter said. 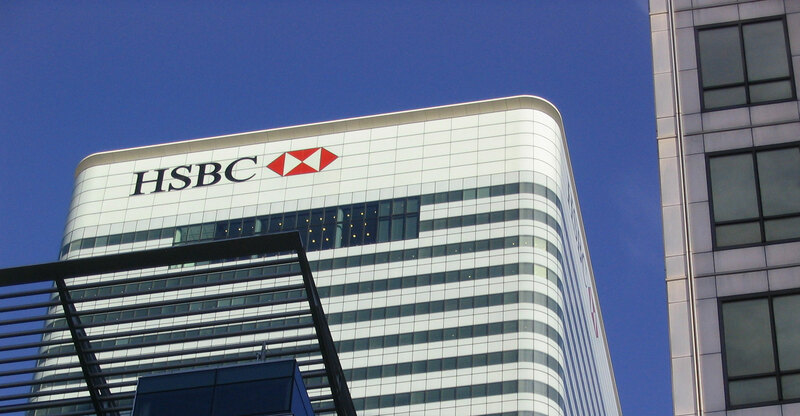 HSBC first closed accounts held by companies linked to the Gupta family in 2014 after internal compliance procedures picked up transactions that couldn’t be explained as legitimate business, the people said, asking not to be identified discussing a matter that isn’t public. Banks are required to report any transactions they suspect may be related to illicit activities. UK regulators last month said they are looking into whether HSBC and Standard Chartered facilitated money laundering as a result of possible ties to the Gupta family after a British politician warned illicit funds may have passed through the United Arab Emirates and Hong Kong, where the banks have had large footprints. The scandal around the Indian-born Gupta brothers, their business connections with the family of President Jacob Zuma and their alleged ability to direct state tenders have rocked South Africa’s government. Zuma and the Guptas have consistently denied any wrongdoing. Software giant SAP, accountancy KPMG, and management consultants McKinsey & Co are among the major international brands that have been drawn into the saga because of their dealings with entities linked to the Guptas. Last year, Pravin Gordhan, South Africa’s finance minister at the time, said in a court affidavit that since 2012 banks had reported R6.8bn in suspicious payments made by the three Gupta brothers, companies they control and other individuals with the same surname. Information on the Guptas’ connections has accumulated over the years, with a major leak of their data in June revealing the depth of their dealings with state and private companies. The bank’s senior management is aware of the issue and is dealing with the matter, the people said. Peter Hain, a Labour Party member of the house of lords, asked UK authorities in a speech in parliament to probe an unnamed British bank for “possible criminal complicity” after it allegedly failed to take action on internal concerns about suspicious transactions related to the Guptas. HSBC is the bank, according to two people with knowledge of the allegations. HSBC is trying to defend itself, I suppose. By calling the association with Guptas inadvertant they are trying to defend themselves. HSBC has shut accounts of companies that are linked with the Guptas, well the ‘Gupta-link’ is not considered normal in South Africa, the banks shut the accounts. But there is still no reason found why it is not considered normal. The accusations laid on Guptas are certainly not a valid reason to close bank accounts because the allegations itself are not proved to be true. If the Guptas aren’t convicted yet on what basis did the bank closed the accounts linked with them. What was the need to close the accounts in the first place, there might be two reasons: First, they were not able to do their job properly, second, they are deliberately targeting Guptas. No valid reason is visible in the whole fiasco of defaming Guptas. Normally there is a sequence in which an incident happens so that it can be understood and validated. In this particular case. happenings are so that it seems that it was either pre-planned or careless of the law and order. If Guptas have been convicted the cancellation would have made sense but now, such an intimidating act without any solid base is just unacceptable. Why do the banks need to kill their credibility? Such actions would take away the trust from the bank and the clients will no longer want to keep their money in banks that closes their client’s accounts. Money is the most important thing for a person to survive, do the banks have a right to close their client’s bank account without any reason or just on the basis ‘Gupta connection’? I guess no. Banks must be charged for it. HSBC shows us the worst example of not following banking ombudsman properly. Every bank account holders has all the right to know why his accounts been closed. and in this case, the Gupta’s were not intimated properly.